The winter can impact our lives in many ways in Michigan. 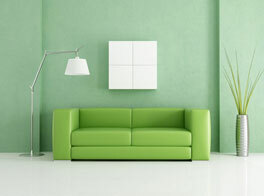 One often overlooked element is the indoor air quality of our homes and business. With Michigan winters being especially cold, most find they spend more time inside than outside to escape the brutality of the winter temperatures. As a result, many find the exposure to the indoor air is triggering excessive allergies or asthma attacks or effecting the breathing quality or health in general. As winter is fast approaching, we at Sterling Environmental Air Duct Cleaning would like to share some tips to improve the indoor quality in your home before the harsh winter hits. 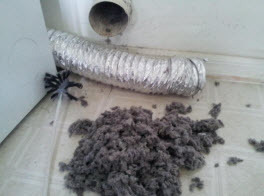 1) Air Duct Cleaning. Treating the source is the best move. Having your air ducts cleaned before the winter comes can help you significantly. The indoor air is primarily distributed in the air ducts. 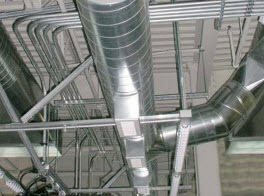 If the air ducts are contaminated with dust, dust mites, pest waste or body fragments, dander, hair, dead skin cells, smoke debris, mildew, mold or other microbes, and other such contaminates, the indoor air will immediately be tainted with allergens, pollutants, and other harmful particles. 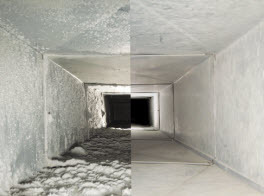 Professional cleaning restores the air ducts like new to help ensure the indoor air is pure. 2) Air Purifier. Another helpful aid is an air purifier, particularly for asthma and allergy sufferers. Air purifiers can remove a major portion of the risky particles, allergens, and odors in the air and contribute to the improvement of the indoor air. 3) Aromatherapy. Not only are they useful for freshening the air with more pleasant fragrances, but an essential oil diffuser can utilize the essential oils to scrub the air molecules and clear some of the viruses and bacteria in the air. Ensure the essential oils are additive free and keep in mind they can be used in multiple and any room in the home. 4) Dry Cleaning. If you depend on dry cleaning services often, experts recommend hanging the freshly dry cleaned out on the back porch or back yard for an hour so to air them out. The chemicals used to clean the clothes otherwise be exposed into the indoor air, reducing the quality. 5) Air Filter Change. The filters are not just enhancing the efficiency of your HVAC system, but it removes a lot of the residues, dust, and other debris from the air is collected in a localized area for easy disposal. If you do not change the filters every 1-3 months (depending on the circumstances) the particles will be re-introduced back into the air in addition to dropping the HVAC efficiency and causing the units to fail. 6) Indoor Living Plants. Plants are natural filters. Having some indoor plants throughout the home is a natural approach to add more oxygen in your home as well as clean and purify the air. Using organic potting and ensuring it is fresh can contribute to healthy plants. If you have pets indoors, there many options to pet-friendly indoor plants as well. 7) Routine Cleaning. Frequent dusting and vacuuming your home will control a lot of the airborne pollutants such as pollen, dust mites, pet dander, and other allergens in addition to the dust and dirt. For your comprehensive air duct cleaning, call Sterling Environmental Air Duct Cleaning and let our expert technicians restore your air ducts like new to enjoy a better quality of your indoor air this winter.